While making the film Putin's Revenge, we interviewed former heads of U.S. intelligence agencies, diplomats, Russian and American political insiders, journalists, historians and others. In all, 56 sources spoke with us on camera. Over hours, they told us what they’d seen, what they'd heard and what they’d learned from being inside the rich and textured story of U.S.-Russian relations. Only a fraction of these interviews can make it into a two-hour film. Usually, the public doesn't see the rest. Stories, insights and evidence -- a kind of living history -- are lost. Editorial choices about what to include in the film and what to omit also disappear, hidden away in the archives. So this time we asked: Could we publish all the interviews we filmed for Putin’s Revenge in a way that readers and viewers could explore, enjoy and share? This is the result. "The Putin Files" contain the interviews we shot over six months in Washington, Moscow, New York and California, more than 70 hours of footage. There are 33 interviews in video alongside transcripts and 23 interviews in transcript form only. 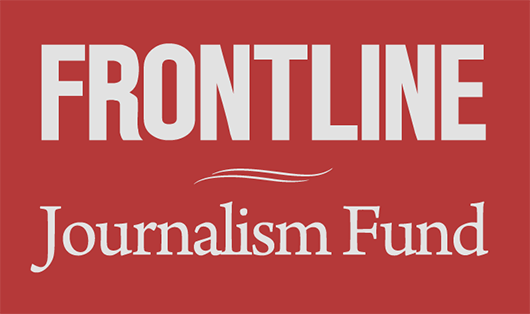 Since the early years of the internet, FRONTLINE has been a pioneer in presenting deep content websites, with interview transcripts and video to accompany our films. This project is the first time we’ve published the source material for our journalism with as many interactive features or on this scale. We don’t know of any other news organization that has done anything in video as comprehensive. Navigation. You can navigate the collection by person (like former CIA director John Brennan), theme (Putin and Trump) or explore highlights from the full interview collection. The themes, often corresponding to events in the film, are listed here. Each theme features a series of highlights from the interviews. Once inside an interview, you can also navigate by themes. Sharing. Did you find a sentence or section you'd like others to see? Select that portion of the transcript and a tool bar will show you how to share it on Facebook or Twitter. Your post will include the words you’ve selected (a phrase, sentence or more) plus a link to that spot in the video interview. If you just want a link to share by email, you can also get one through the tool bar. Annotation. We’ve annotated all of the videos with supplemental materials. These include links to news articles, reference material, documents and to other interviews in the collection, enabling you to compare accounts of an event from different interview subjects. We have two main goals in presenting "The Putin Files." The first is to provide a way to dig deeper into the issues explored in Putin's Revenge. Not only can you immerse yourself in events covered in the film, but you can learn about stories not included in the documentary. -- The 2007 Russian cyberattack on Estonia, a watershed event described to us by Estonia's president at the time, Toomas Hendrik Ilves. -- The Beslan school siege in 2004, in which hundreds of children were killed, a key test for Putin, as told by Susan Glasser, Peter Baker and other journalists who were on the scene. -- Gleb Pavlovsky, a former Putin adviser, recounting how "Putin saw how we played with the mass media. How he saw what was happening in the newspapers, TV channels, radio stations, even Internet. It was one big keyboard." -- Or the story of how Putin, having met George W. Bush's dog during a visit to Texas, one-ups the president during a meeting at his Moscow dacha. Our second goal has been to open a window into our reporting. "The Putin Files" is part of what we’re calling FRONTLINE’s Transparency Project. Transparency has been a vital but elusive value in journalism. We’re experimenting with ways to strengthen the credibility of journalism and restore trust in independent news media -- a task that seems especially urgent with the rise of “fake news” and the decline of public confidence in sources of information. We believe in the fairness, integrity, depth and accuracy of our reporting. Finally, a word on editing. The interviews presented here are not raw transcripts. Most have been through four layers of editing, including copy editing for spelling and punctuation. We have edited them lightly for clarity and to remove some areas of repetition, false starts, digressions or dead ends in a conversation. You will see ellipses in the transcript where we’ve done this. Occasionally, you may also notice differences between the transcripts and the film. In some instances, interviews in the film have been edited for clarity and length, using the same editorial approach. Also, the English translations you’ll hear in Putin's Revenge may be slightly different from those in our transcripts. Our transcripts use the simultaneous translation performed during the live interviews, but with changes suggested by a second translator for clarity and accuracy. The Russian to English translations in the film were performed separately.